If your to-do list or email inbox is weighing you down, take a moment to analyze it and split it into Do it, can Dump it, or may Delegate it sub-lists. Take a hard look at your list and ask yourself, “Why am I doing this task?”. If the reasons tell you that it is not an important task, then dump it, if they show you that someone else can do, then delegate it. The rest can remain in the Do it pile. Do It – These are items that absolutely require your attention and can only be completed by you. Take a diary or a calendar and plot out where you have time to do these tasks. Let’s be honest, that list is probably shorter and more manageable than we initially want to believe. Sometimes it is our need to control or the fear of losing control that keeps us bogged down with activities that are not fulfilling or helping us move towards our goals. Get clear on your real to-do list! Dump It – These are the items that are not important, not urgent, and are not necessary to move the needle forward on achieving your goals or desired outcomes. We often hold on to tasks and activities out of ritual or habit. What items are you doing each day out of old habits or corporate traditions? Dump them and free up your time to focus on the things that really matter. Delegate It – There are the items that others can complete or stand in your stead. It is a great opportunity to show confidence in that aspiring employee, teach your child responsibility, or hire a professional so you can work on other high priority tasks. Understand that the objective is to get rid of the tasks. Time management guru Peter Bregman, author of 18 Minutes: Find Your Focus, Master Distraction, and Get the Right Things Done, advises his clients to pick their top five priorities and spend 95 percent of their time doing only those activities, saying “no” to virtually everything else. You can take the list a step further and segment it based on priority into High, Medium and Low Priority tasks. High Priority tasks are the ones that need to be done today. Medium Priority tasks can be done tomorrow. Low Priority can be done later in the week. Now that you have split your list into priority piles, you will have clarity on which task to tackle first (i.e., often the hardest and the most important task). The best part about segmenting your list based on priority is that as you complete and strike off priority items from the list, you will end up feeling far less overwhelmed or stressed about the backlog. When should you write your To-Do list? Studies have shown that writing your to-do list the night before can make you more productive the next day. 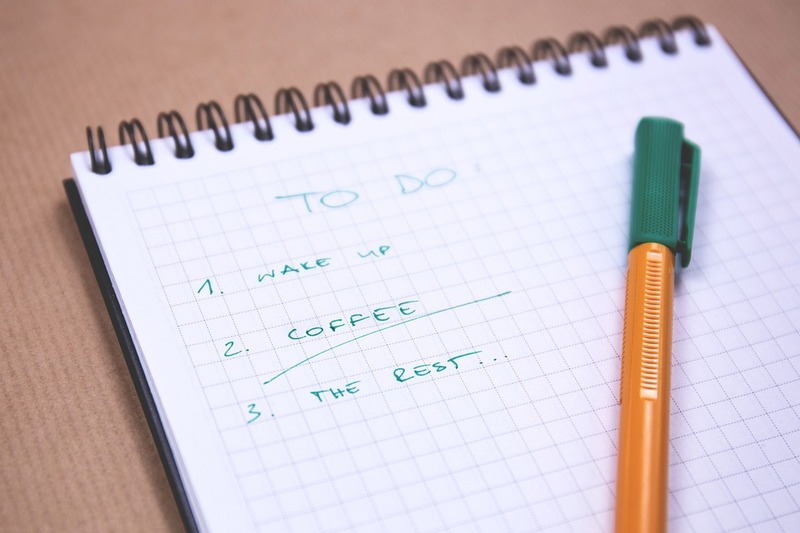 Here are some more valuable tips to make your To-Do list more effective.